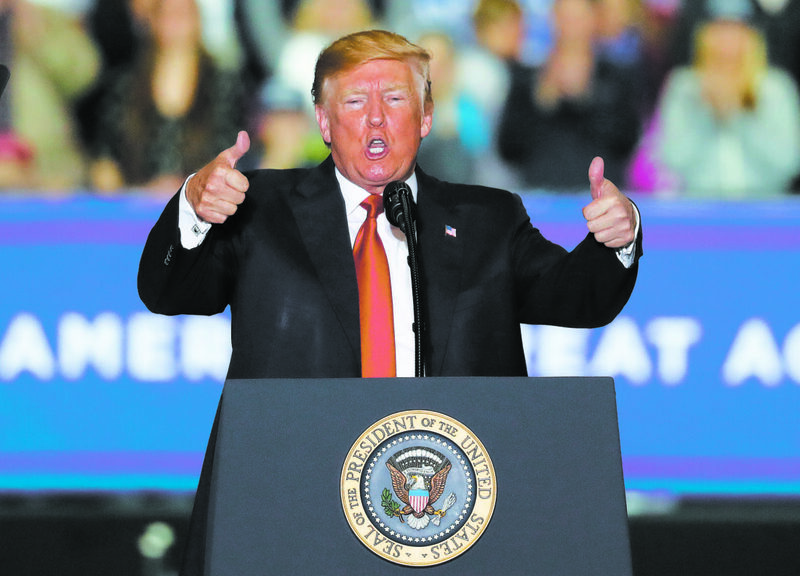 WASHINGTON TOWNSHIP, Mich. (AP) – President Donald Trump, who ditched the annual White House Correspondents’ Dinner for a campaign-style rally in Michigan, urged voters to support Republicans for Congress and repeatedly cited Sen. Debbie Stabenow as one of the Democrats who needed to be voted out of office. Stabenow, who is running for re-election to her fourth term, fired back Sunday that voters are sick of the partisanship. In Michigan, Trump also directed his ire at another Democratic senator, Jon Tester of Montana, over his role in the failed nomination of White House doctor Ronny Jackson to run the Department of Veterans Affairs. Tester, too, faces a competitive re-election race this year. Tester, the top Democrat on the Senate Veterans Affairs Committee, had his staff compile a list of allegations against Jackson based on interviews with more than 20 military personnel, and they released it with the support of the Republican committee chairman. Jackson was a surprise pick by Trump for VA secretary. The White House was criticized for skipping crucial vetting of nominees and letting lawmakers to clean up the mess. “While Washington, Michigan, was a big success, Washington, D.C., just didn’t work. Everyone is talking about the fact that the White House Correspondents Dinner was a very big, boring bust…the so-called comedian really ‘bombed,'” Trump tweeted.